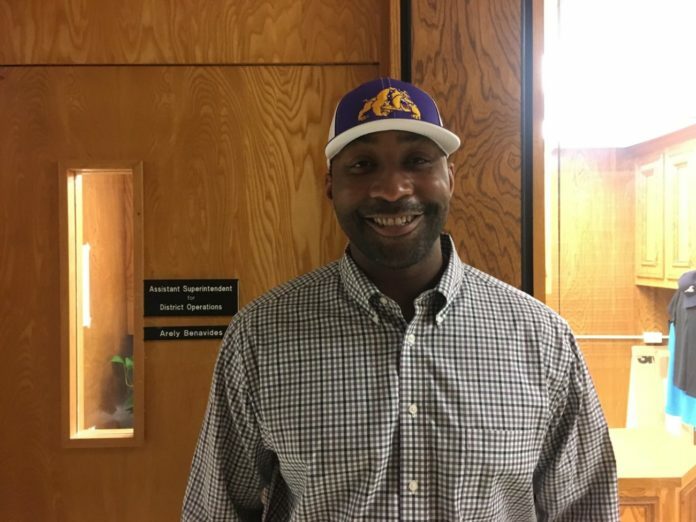 McALLEN — The position was vacant for 54 days, but on the 55th day, the McAllen ISD School Board approved Patrick Shelby as the next head football coach to guide McAllen’s oldest high school. He will also serve as school’s athletic coordinator at the high school. Shelby is hired from his post as Weslaco High’s offensive coordinator for the past two seasons. He’s been a coach at the varsity level in the Rio Grande Valley since 2012 where he helped Michael Salinas and company establish a consistent program. Shelby has been in the coaching ranks for 11 years, four at the college level and seven as a high school coach. The 2019 campaign will be his first season as a head coach. Even though the board was in a closed session from 5 p.m. to 6 p.m., the administration building was bustling with parents of students being honored at the elementary level as well as a healthy amount of curious fans anxious for the coaching decision. Shelby was one of 48 applicants who applied for the job. McAllen ISD Athletic Paula Gonzalez explained that the process was difficult because of the quality of applicants. He is believed to be the first black head coach in the program’s 100-plus year history. Perhaps fitting that he was tabbed on Martin Luther King Jr Day. The Vela SaberCats named Shelby offensive coordinator in 2014 and for his final three years at the high school the team went 31-5, establishing themselves as one of the Valley’s premier programs. In just two years at Weslaco High with Shelby there, the Panthers went from 3-7 in 2017 to 11-2 in 2018 including a trip to the third round of the postseason. Weslaco averaged 35 points per game. McAllen High ranked last in offensive production in 30-6A in 2018. The Bulldogs averaged 140.1 yards per game and scored 50 points. Shelby knows that turning the program around within the competitive district won’t come overnight. McAllen High was 31-34 in its six years under previous head coach Kevin Brewer. The Bulldogs made the playoffs in four of his six seasons, but have missed the postseason in two of the past three, including the 2018 season.